Thouless was a theoretical physicist whose most well-known work focused on the properties of matter in extremely thin layers. His research explained the behavior of matter in some of its most unusual states — including superfluidity and superconductivity. For these efforts, in 2016 he was awarded the Nobel Prize in Physics along with his collaborator J. Michael Kosterlitz of Brown University and F. Duncan M. Haldane of Princeton University. Thouless was the seventh UW faculty member to receive a Nobel Prize, and the second UW physics laureate. “It really meant a lot to him that he won the Nobel Prize,” said Helen Thouless, his daughter. Thouless’ career included stays on both sides of the Atlantic, but he spent more than three decades — the latter half of his career — as a UW faculty member. One reason he and his wife, Margaret Thouless, a UW professor emeritus of pathobiology, made Seattle their final academic home were the opportunities that the UW provided for Thouless to enjoy a more collaborative approach to research. Thouless was a professor in the UW Department of Physics from 1980 until his retirement in 2003. David James Thouless was born on Sept. 21, 1934, in Bearsden, Scotland — the second child of Priscilla Thouless, a teacher, and Robert Thouless, a psychologist and professor. From an early age Thouless showed interest in numbers and arithmetic. According to his Nobel biography, his childhood pursuits included trying to determine how far numbers went by counting them and calculating how many seconds there are in a year. Thouless attended St Faith’s School in Cambridge from 1942 to 1947, when he earned a scholarship to Winchester College in Hampshire. At school, he fostered other lifelong interests, including history and literature. Even outside his career in theoretical physics, Thouless enjoyed learning. “He was always reading something. Growing up, our house was filled with books,” said Helen Thouless. 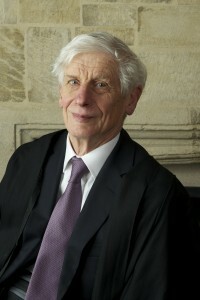 He studied at Trinity Hall at the University of Cambridge, graduating with a Bachelor of Arts degree in 1955. With support from the Fulbright Program, Thouless then crossed the Atlantic on the RMS Queen Elizabeth to study at Cornell University under future Nobel laureate Hans Bethe. At Cornell, Thouless also met Margaret Scrase, a biology student. They wed in 1958, the same year Thouless graduated from Cornell with his doctoral degree. After Cornell, he spent a year as a postdoctoral researcher at the Lawrence Radiation Laboratory — now the Lawrence Berkeley National Laboratory — before returning to the U.K. to work with Rudolf Peierls, a world-renowned physicist at the University of Birmingham. Thouless joined the faculty at Birmingham in 1965 as a professor of mathematical physics. In 1970, Thouless began a critical collaboration with Kosterlitz on phase transitions of matter. Solid ice melting to liquid water is an example of a phase transition of matter. Thouless and Kosterlitz took on a prevailing theory of the day, which stated that matter in flat, nearly two-dimensional systems undergoes no phase transitions. Their theories concluded that phase transitions are actually possible in flat environments, which helped explain properties such as superfluidity and superconductivity in these systems. 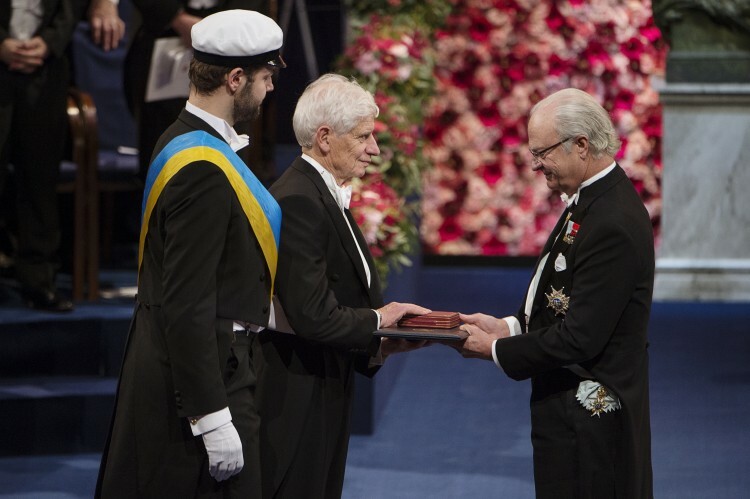 “We worked well together, since I had the broad ideas and tried to understand the big picture, whereas Mike would find the holes in my arguments and ways to solve the problems I had ignored,” said Thouless later, according to his Nobel biography. The Nobel Committee for Physics cited these efforts in awarding them the physics prize in 2016. Thouless left the University of Birmingham in 1978 and, after briefly working at Yale University, arrived at the UW in 1980. In 1982, he and three postdoctoral researchers published a paper in which they used topological methods — a branch of mathematics describing properties that change in a stepwise manner — to explain another two-dimensional phenomenon called the quantum Hall effect. 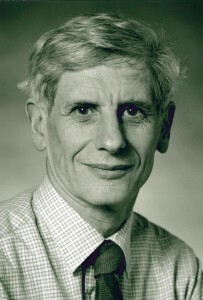 This work was also cited by the Nobel Committee for Physics and is “seen nowadays as the starting point for the discovery of many new topological phenomena, including topological insulators and topologically protected quantum phases,” said Marcel Den Nijs, a UW professor of physics who was one of the postdoctoral co-authors on the 1982 paper. “David Thouless was the cornerstone of the condensed matter theory group in the UW Department of Physics for many years,” added Den Nijs. This year, the UW physics department founded the Thouless Institute for Quantum Matter. 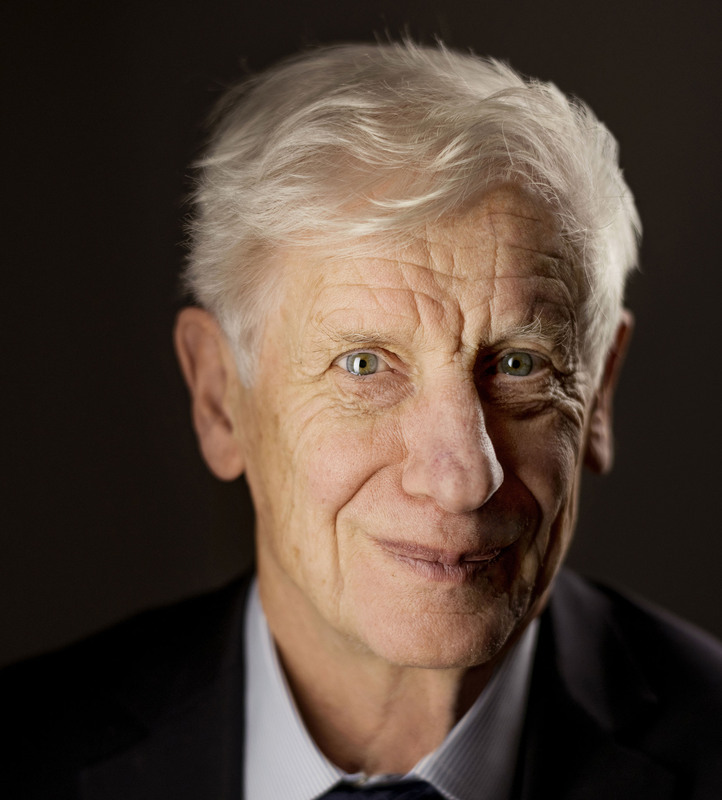 Thouless became a fellow of the U.K.’s Royal Society in 1979, a fellow of the American Academy of Arts and Sciences in 1981 and a fellow of the American Physical Society in 1987. In 1990, he shared the prestigious Wolf Prize in Physics with Pierre-Gilles de Gennes, another future Nobel laureate. In 1995, Thouless was elected to the National Academy of Sciences. Outside of his academic interests, the Thouless family enjoyed the fruits of life in the Pacific Northwest – including hiking, skiing and sailing — as well as arts at the UW, particularly opera and early music. In addition to Margaret Thouless, his wife of more than 60 years, and daughter Helen Thouless, a lecturer and researcher at the Institute of Education at the University College London, survivors include two sons — Michael Thouless, a professor of mechanical engineering at the University of Michigan, and Christopher Thouless, a strategic advisor with Save the Elephants and director of the Elephant Crisis Fund — as well as four grandchildren and a bounty of friends. Thouless was preceded in death by his parents and his sister Susan.